It definitely didn't disappear. Have you heard of the white elephant footage? "Magical"? "Holograms"? Dude, quit acting like a JREFer and putting ridiculous terms in my mouth. I think I've stated here that I think that while hologram technology exists, I don't think they used. It's possible, but I don't think they did. DEW weapons do not run on magic, obviously. There are no thousands of witnesses to large planes. The initial accounts reported missiles, small planes, sonic booms, and bombs. 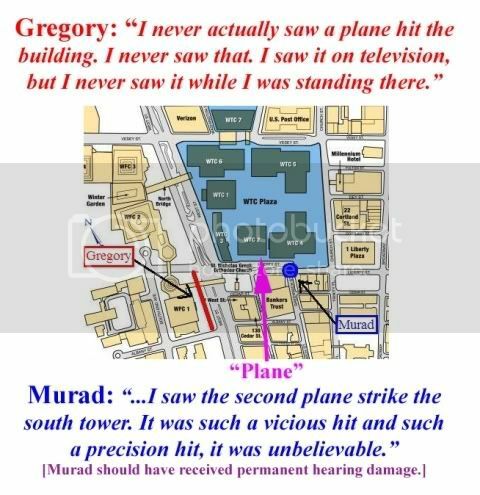 Most of the responders reported an explosion and didn't hear or see a plane..